Now this is a must-have in your kitchen! The Chopaholic 5-piece Entertaining Set contains everything you need to be the host or the hostess with the most and mostess. This set comes with a cake server, ice-cream scoop, cheese knife, clam and oyster knife and even a bottle & tin opener. What more would you want from an entertaining set? All of the tools are made from premium quality and guaranteed to last you a long time. 5 PIECE SET FOR ANY OCCASION – Be the champion of home entertaining, with this set built to cater to all your hosting needs. CAKE SERVER – Now, that you’ve made your favorite cake, it’s time to serve it! Avoid getting your hands and table messy with serving pieces of cake with our cake server. ICE-CREAM SCOOP – Serve your ice cream and sorbet with this amazing ice-cream scoop. Don’t be fooled, this ice-cream scoop can be used with scooping cookie dough and even mince portioning. 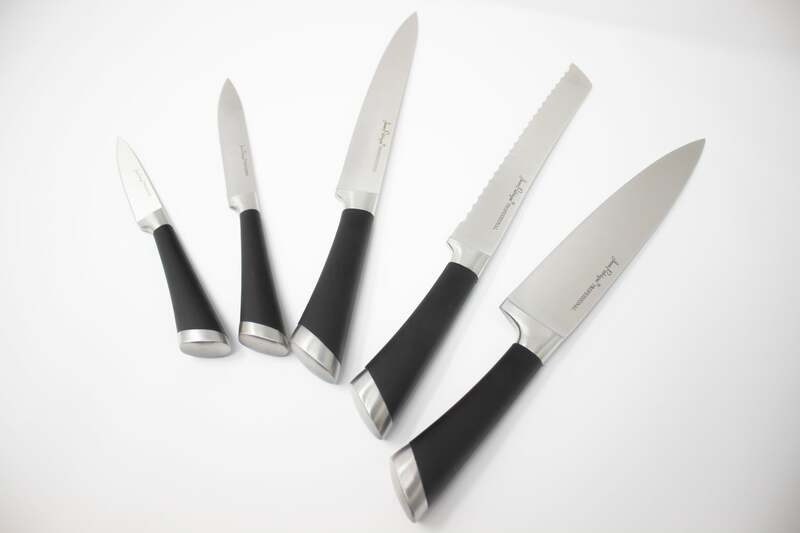 TRADITIONAL CHEESE & SEAFOOD KNIVES – Knives specially designed for cutting through delicate cheese or cracking open delicious and fresh oysters. BOTTLE & TIN OPENER – Opening bottles and tin cans can be a nightmare. Be sure to save yourself plenty of time and keep your fingers safe with this easy to use multi-talented tool.